Two specialists, from Burson-Marsteller UK and Connect Communications, give their take on (another) eventful 24 hours in British politics. 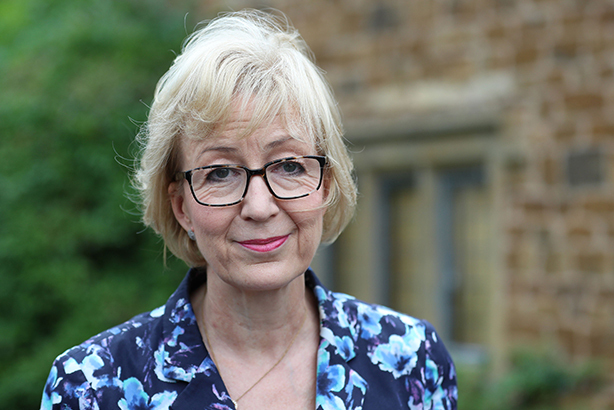 Just three days after beating Michael Gove to win a place in the final round of the Conservative leadership contest, Andrea Leadsom decided to step aside, handing Theresa May the keys to Number 10. The downfall of Leadsom’s leadership campaign has highlighted both the price paid for inexperience at the top level of politics and the Conservative Party’s instinct for survival. Leadsom grew in stature and prominence during her noteworthy performances in the referendum television debates. As a female Conservative face on the Brexit side of the argument, she stood out against her male counterparts and won favourable reviews among the media and punditry. In part, the mistakes in her leadership campaign were born out of the themes used to such effect in the referendum campaign. During the TV debates, Leadsom referenced the importance of making decisions in the interest of family. At the time, this seemed like powerful rhetoric that cut through the ‘politics as usual’ of immigration and the economy, with Leadsom speaking as a mother directly to others with similar life experience. This earned a strong rebuke from fellow Tory (and 'remain' campaigner) Ruth Davidson, leader of the Scottish Conservatives, who pointed out – in a portent of things to come – that "there are actually mums and dads and grans and granddads on this side of the argument as well". Latterly, this same message from Leadsom, deployed in the context of a leadership campaign against Theresa May, proved ill-judged against the backdrop of May’s self-described sadness at not having children and the changing attitudes of society and the Conservative Party in Parliament. Accepting both her explanation and firm denial that she intended to draw such a comparison with May, the media verdict was still damning. Among her colleagues and in the commentary in the Sunday newspapers, it was concluded that her remarks were either naïve or nasty. In either instance, this proved she was not yet ready to be Prime Minister in the eyes of many and a full media and public outcry ensued, led by many of her erstwhile colleagues. However, it should be noted that this weekend’s row was not the only gaffe from her campaign team. Earlier signs of a propensity for such accidents included being caught out on last Sunday’s Andrew Marr Show with a question about her tax affairs and a row relating to the exact nature of her experience in the City and her CV. The truth behind both incidents is disputed, but the poor handling and messaging around them is not deniable. It is also important to note the other factors involved in Leadsom’s swift decision to withdraw. This was not simply the product of a media and public backlash around any of the incidents above; it was also the product of a series of calculations that took place over the weekend. It is understood that Leadsom’s team took soundings of local constituency parties over the weekend that revealed the nature of the changing Tory membership. Reportedly, these soundings found that there was much less sympathy for Leadsom’s candidacy than had been expected. Anecdotally, it seems likely that this is due to the more moderate nature of the remaining (but much diminished) Tory membership, after many of the more right-wing members left in protest at David Cameron’s stance on gay marriage or to join UKIP. High Tory politics is also at play, with the best (or worst) traditions of the party’s instinct for self-preservation picking a leader who could prevent a schism. Tory MPs may also have reflected on the current situation of the Labour Party and thought not to have made the same mistake as the Parliamentary Labour Party did last summer in having a leader foist upon them who has the support of a radical membership but not its MPs. The Conservatives will have hoped that in installing May they will have swiftly dug themselves out of a hole of their own creation and that May will enable them to continue through the remaining three-and-a-half years of this Parliament, avoiding the kind of fractiousness that beset the party in the 1990s and now bedevils the Labour Party. Prime-time politics is a brutal business and Andrea Leadsom wasn’t ready for it. Tales of her picking journalists up in her Golf, doing media interviews unaccompanied, setting her own strategy and tweeting erratically in the middle of the night were bound not to end well. When I was a candidate in a parliamentary by-election, albeit a high profile one, I would never have been expected, or allowed, to handle the media directly. Yet the Conservative Party and her MP backers seemed to think it was fine just to leave a candidate on the brink, potentially, of becoming Prime Minister, to her own devices, as though she were dealing with the Northampton Chronicle, rather than the national press pack. I felt for Leadsom on Saturday, when The Times splashed with her comments on motherhood and May, because I’m certain she didn’t mean it to come across in the way it did. Her approach and remarks were crass but I don’t think her intent was horrible. Having served as a fellow Northamptonshire MP, and sat on committees with Leadsom, I know that motherhood is not just part of the story of her home life; it has been her political cause, particularly her views on the importance of a child’s early attachment to her mother. She believed her experience as a mother was just as important to her CV for Number 10 as the disputed accounts of her time working in the City. It wasn’t wrong to mention it, but it was wrong to draw a comparison with May. Five key mistakes were made during the sorry tale of the past 72 hours. The first was the failure to develop a clear and positive framing for the motherhood point in advance of interviews. The second was that there was no spinner at her side in The Times interview to clean it up, once the May remarks were made. The third was in not tightly controlling the response late on Friday, including seeing if The Times could be persuaded to change the headline in later editions. The fourth was in not offering a prompt apology to May early on Saturday morning. The fifth and final mistake, highlighted by reports of the tearful interview with The Telegraph, is that you need a clear head and a clear strategy, which is sometimes difficult when you are the story. A good spinner would have been that clear head, and avoided the many mistakes that proved Leadsom’s undoing. The moral of the story is that no politician should step into prime time unless they have a spinner at their side. The public likes the idea of politicians being ‘unspun’ but the reality is that those politicians who try it will quickly find themselves undone.